Cellular reversion processes arise in diseases of the heart muscle, for example myocardial infarction and cardiomyopathy, which limit the fatal consequences for the organ. Scientists from the Max Planck Institute for Heart and Lung Research in Bad Nauheim and the Schüchtermann Klinik in Bad Rothenfelde have identified a protein which fulfils a central task in this reversion process by stimulating the regression of individual heart muscle cells into their precursor cells. It is now planned to improve the self-healing powers of the heart with the help of this protein. In order to regenerate damaged heart muscle as caused by a heart attack, for example, the damaged muscle cells must be replaced by new ones. The number of cells to be replaced may be considerable, depending on the extent of the damage caused. Simpler vertebrates like the salamander adopt a strategy whereby surviving healthy heart muscle cells regress into an embryonic state. This process, which is known as dedifferentiation, produces cells which contain a series of stem cell markers and re-attain their cell division activity. Thus, new cells are produced which convert, in turn, into heart muscle cells. The cardiac function is then restored through the remodelling of the muscle tissue. An optimised repair mechanism of this kind does not exist in humans. Although heart stem cells were discovered some time ago, exactly how and to what extent they play a role in cardiac repair is a matter of dispute. It has only been known for a few years that processes comparable to those found in the salamander even exist in mammals. Using a mouse infarct model, the Max Planck researchers succeeded in demonstrating that oncostatin M actually does stimulate the repair of damaged heart muscle tissue as presumed. One of the two test groups had been modified genetically in advance to ensure that the oncostatin M could not have any effect in these animals. “The difference between the two groups was astonishing. Whereas in the group in which oncostatin M could take effect almost all animals were still alive after four weeks, 40 percent of the genetically modified mice had died from the effects of the infarction,” says Braun. The reason for this was that oncostatin M ensured clearly quantifiable better cardiac function in the unmodified animals. The scientists in Bad Nauheim would now like to find a way of using oncostatin M in treatment. The aim is to strengthen the self-healing powers of the damaged heart muscle and to enable the restoration of cardiac function for the first time. The downside, however, is that oncostatin M was also observed to be counterproductive and exacerbated the damage in an experiment on a chronically diseased heart. 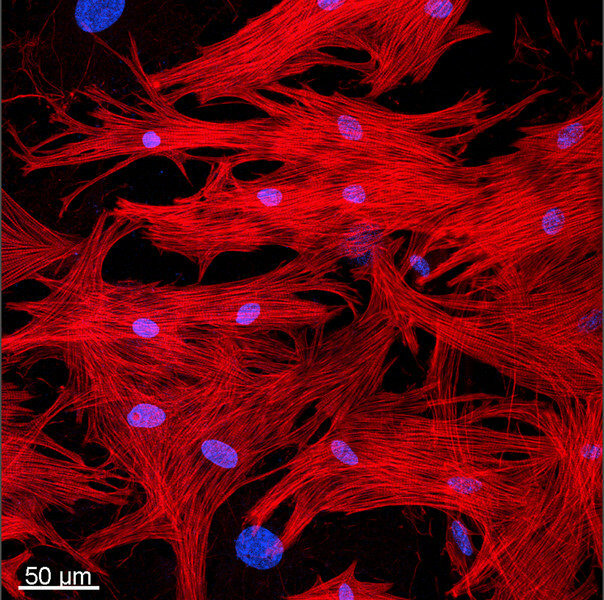 “We believe that oncostatin M has considerable potential for efficiently healing damaged heart muscle tissue. What we now need is to be able to pinpoint the precise window of application to prevent any possible negative effects,” says Braun.